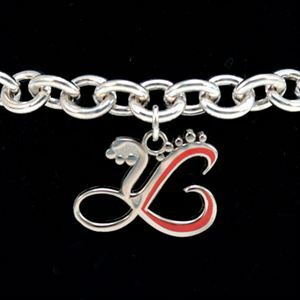 This exclusive Be The Change, Red Charm Sterling Silver Bracelet was created so that one can display the beauty and love of what it truly means to be the change. You will not only supporting a wonderful cause, with 100% of the profits going to the Be The Change Foundation, but you will be able to show your love and support for one of the foundations wonderful cause. Make it your own by adding all your other favorite charms to it.